about this book: "Distant War: Recollections of Vietnam, Laos and Cambodia" is a compilation of profiles gleened from 20 years of my reportage on the war and its after effects both from the region and here at home. I came to the title "Distant War" because, as a journalist friend wrote in promotion of my book, "Newer sabres are rattling." Yet for the people of our generation, Vietnam is a war that will simply not go away. 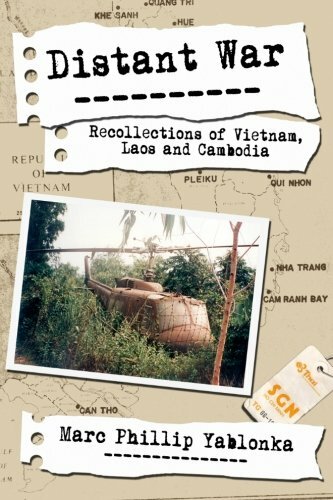 The cover shot for my book is that of an abandoned Huey helicopter, the iconic symbol of the Vietnam War, which I came upon while tredging through the bush, following in the footsteps of American troops, near the infamous Cu Chi Tunnels, at first unbeknownst to our troops at the time, home and hide out their enemy, the subterranean Viet Cong cadres. My book is an eclectic mix of personages who came of age during the war. There are, of course, grunts and pilots within its pages. But there are also doctors, Red Cross Donut Dollies, and photojournalists who brought the war home to us. Nick Ut, the Vietnamese AP photographer who took the Pulitzer Prize-winning photo of Kim Phuc, the Napalm Girl is in my book. As is, readers may be surprised to learn, Wheel of Fortune game show host Pat Sajak, who is, after all, a Vietnam veteran. 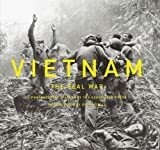 This is a book for historians and history majors, journalists and journalism students, basically anyone with any interest at all in the war which many of us thought would shape American military actions for a long time to come. Recent "sabre rattling" has shown us that that may not be the case however. I hope and trust my readers will learn something about this Distant War.